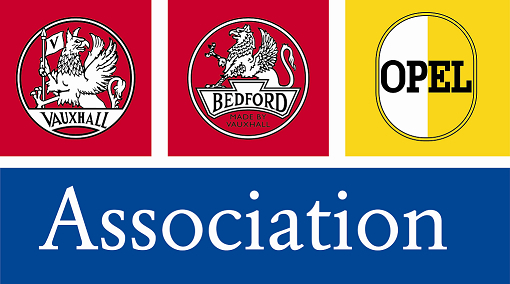 Club Announcement Half Price Membership & Competition: Win VBOA Tickets! We are happy to announce for a short time only, MK3OC Membership is now half price, making it just £5 for a whole year! If you are already a member, you can still pay £5 to extend your existing membership for 12 months. Furthermore, by buying your membership at the reduced rate, you are automatically entered into a draw to win a Weekend Camping Pass for VBOA National Rally 2019 worth £50!! So best of luck to everyone! The competition is open to everyone. The winner will be selected at random soon after the membership promotion has finished, each purchase of the membership extension will be given a number and a random number generator will select the winner. The winner must be able to attend the VBOA National Rally 2019 with MK3OC, however it is your choice if you wish to visit during the day or camp for the weekend. We reserve the right to revoke the prize should we feel the need to. Membership packs are not included as part of this promotion, however you will receive all of the usual MK3OC Club benefits. Please allow 1-2 days for your membership or extension to be activated as this has to be done manually by club staff. All purchases so far have now been processed. Just tried doing this twice but its saying something about figure must be greater then zero when ive finished paying through paypal. Just tried it myself with the same result. Will try and get it sorted tomorrow. Will let you know once its fixed. How do I upgrade my account? Also how do I find my account number? I Cant seem to do either for some reason. Worked for me @£10 pound though and its set a subscription up. Does that mean it will annualy re apply the fee every year? I could get to that part, but cant go any further to update and re-pay my fee. Is it still at the discounted value of £5. Still cant see my account number either Kev. Currently there is a problem with payments in the Club Shop, which is where you can buy the discounted membership. I am working on a fix. Sorry for the inconvenience. A couple of days left before the offer ends, grab it while you can. Phase 2 GSI X20XEV with a difference!